"I loved the Kid n' Play movies. That's where I got my haircut from." Sarah Palin has interjected herself into the presidential campaign yet again. Trying to remain relevant, Palin through her two cents into the debate by throwing up the person she believes is best fit for the vice-presidential pick, and believe me, Sarah Palin is the best person to get this advice from. Palin went on her fellow Fox friend Sean Hannity's program on Tuesday and professed her love for Allen West, the Florida freshman teabagger who has made numerous headlines for his incendiary remarks against Democrats. Palin believed the candidate should be someone "rogue" like her - another maverick. "I love that he has that military experience, he is a public servant willing to serve for the right reasons," Palin said. "When I talk about going rogue, what I want is to encourage the GOP nominee to not think that they have to go with somebody necessarily safe. No matter who it is, they're going to get clobbered. The media will make things up about them and their record and their reputations and their families." 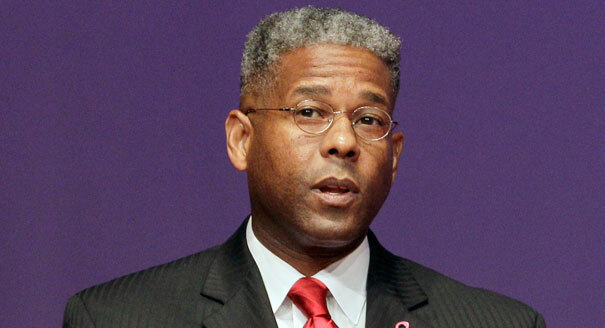 Going rogue is exactly what Allen West had done. While West was serving in Iraq, he heard a rumor that there was a plot against him and used his position to detail an Iraqi civilian, torturing him for information regarding the plot that did not exist, with West even firing a gun beside the civilian's head as a threat. The civilian surrendered meaningless information as a result. Did I forget to mention that West was not, and had never been, a military interrogator. He never even witnessed one. West violated two articles of the Uniform Code of Military Justice and during a hearing as part of an Article 32 investigation West admitted what he had done was "not right" and would perform his actions again given the opportunity. He was fined $5,000 and sent on his merry way. What did West have to say about the entire situation at the time? “I’m pleased that it’s over with,” West said. “But I thought that taking $5,000 away from a guy who is about to retire was a little bit unnecessary.